In the mild climate and the all-pervading light of the Aegean Sea, Greek islands have stood isolated for thousands of years. Due to either lack of proximity to the mainland or unavailability of sea route connections, life on the island has never been easy. Yet, it has been unique and beautiful, in a simple unadorned way. Because, few things can measure up to the golden-blue horizon and the thousand breaths of fresh air breaking against the land, which the islander chooses to call “home”. 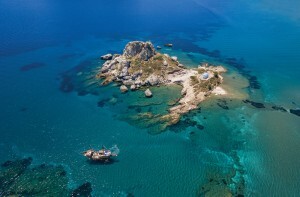 “No man is an island” the old saying by John Donne goes, but it seems that he never had a chance to meet the Greek islander –who, even in times of adversity, always managed to cope. Out of necessity, those remote, and sometimes inaccessible, island societies have succeeded in becoming self-sufficient by relying on local resources. For some, this meant agriculture, farming, livestock breeding and fisheries –for others, sea trade. Against all odds, island economies have survived and on occasion flourished. 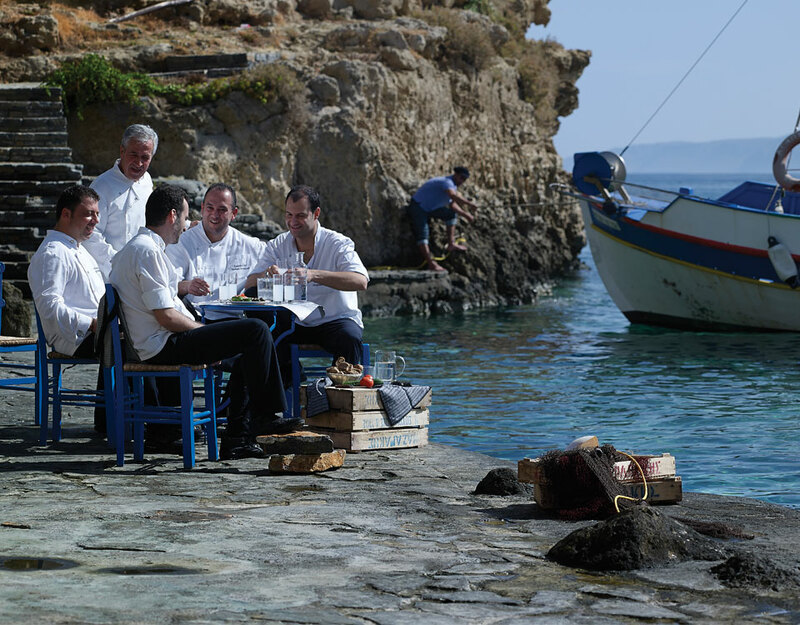 Growing up in these small marine communities, where everything was dictated by an unspoken set of rules, Greek islanders never had it easy; they had to work hard, often in difficult conditions, to bring food to the table and sustain themselves. Yet, they have come to enjoy a quality of life, envied by many. Greek islanders are indisputably an odd blend of people. They are open-minded and adaptable, and at the same time deeply traditional, with an unwavering sense of honor and pride. Living in close rapport with nature, they are used to taking things slow, having adapted their lifestyle and daily routines accordingly. Simple things yield great pleasures for the islander, who wakes up early in the morning, works until noon, takes a nap and so forth. While life rolls in slow motion, the islander chooses to live deliberately and not stress. He consumes local seasonal foods; eating sparingly, walks a lot, sleeps a lot, works with his hands and body, spends time outdoors and interacts with others. In his narrow but luminous habitat, the Greek islander is the picture of vigor, wellbeing and longevity!